Head Chef at The Scottish Café and Restaurant, Suzanne is a keen supporter of using local seasonal produce and artisan suppliers. The restaurant has even started growing its own produce which they use in their menus. Having worked in the industry for almost 23 years, Suzanne is a well established chef. Her early career was spent working in prestigious restaurants across the world. It was in 2002 that she returned to the UK to settle in Edinburgh where she worked at numerous restaurants including Tigerlilly and Hawke and Hunter, voted as the Guardians 50 Coolest Places to eat in the UK. She has been nominated for The New Chef of the Year Award, as well as for the SLTN Restaurant of the Year Award. She was the Head Chef for the MTV awards Edinburgh in 2003. 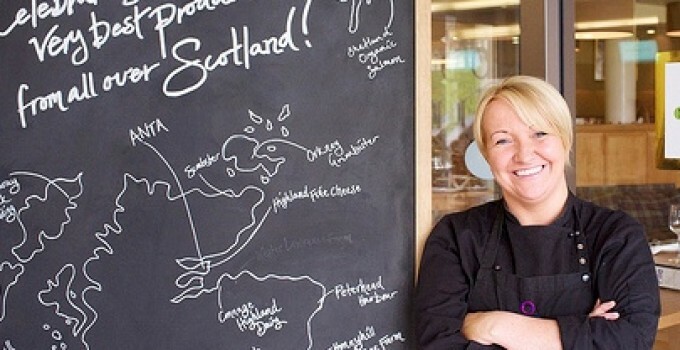 Suzanne went on to join The Scottish Café & Restaurant in 2009 and after completing her City&Guilds teaching certificate, she now trains up budding chefs. Sign up to our newsletter to receive regular updates from Slow Food UK here.